Every person's diet, lifestyle, haircare & of course genes contribute a lot to the hair structure.My hair is extremely curly , thin, unmanageable, dry ,short and has a bit of dandruff in the front portion alone. I am an ovo-lacto vegetarian but I am not very regular in eating eggs but I have 2 glasses of milk everyday.I had a haircut only 2 months back & my hair was a little below the shoulder level. 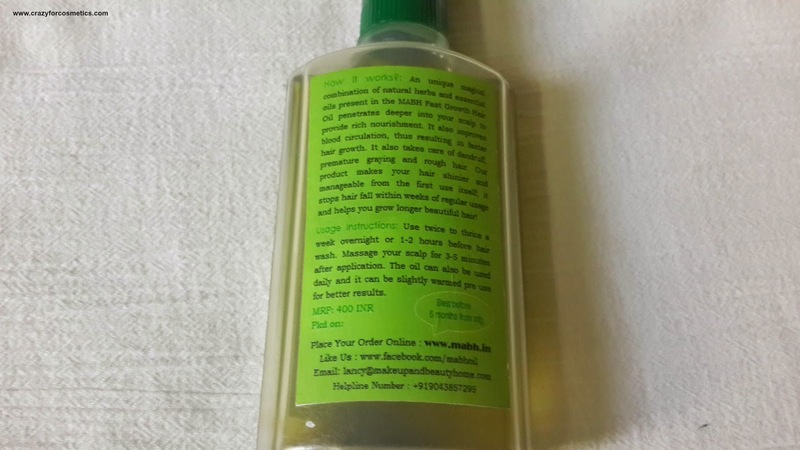 MABH fast growth hair oil is made of pure base and essential oils along with several natural herbs. 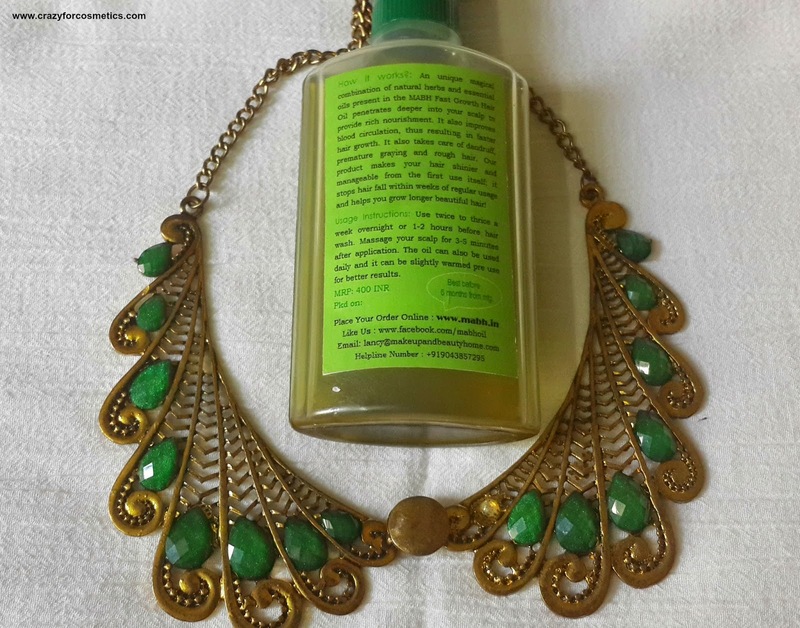 One bottle will last for more than month if used as instructed as it is light and spreads evenly on you hair. 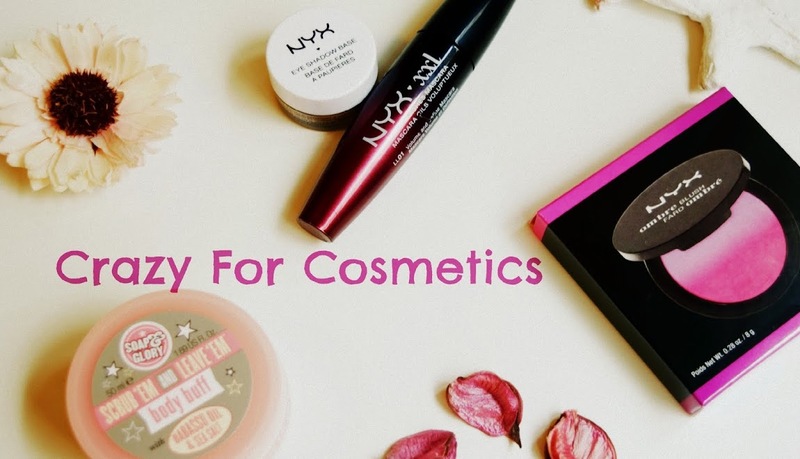 We add no silicone, no paraben, no preservative and no colorant to our product. It is 100% traditionally homemade and packed. Shelf life of the product is 6 months. It contains neem, tulsi, hibiscus, bringraj, vitamin E extracts, aloe vera, natural essential oils including 20+ herbs (Few are rarely found and they are collected, dried, powdered and mixed in a secret ratio). I started using MABH oil from the second week of August every alternate day before going to the bed( a little quantity)& before my hair wash thrice a week(complete application by warming the oil). A disaster struck one day when I was about to oil my hair before my hair wash. I was squeezing it out onto the container when suddenly the plastic lid came out & half the oil spilled all over my floor. I was extremely sad and yet another disaster struck me in a few days. I got this dust allergy in the third week of August that made me suffer very badly from cold & fever for about a week & I did not wash my hair in this period, so obviously no oil. After I was completely relieved of this allergy I began using MABH oil regularly. 1 : My hair has become soft & smoother. 2 : It has gained a slight sheen - my hair was extremely dry & lifeless before. 3 : My hair fall has reduced considerably. 4 : My hair has become more bouncy & voluminous. 1 : My dandruff is still there. 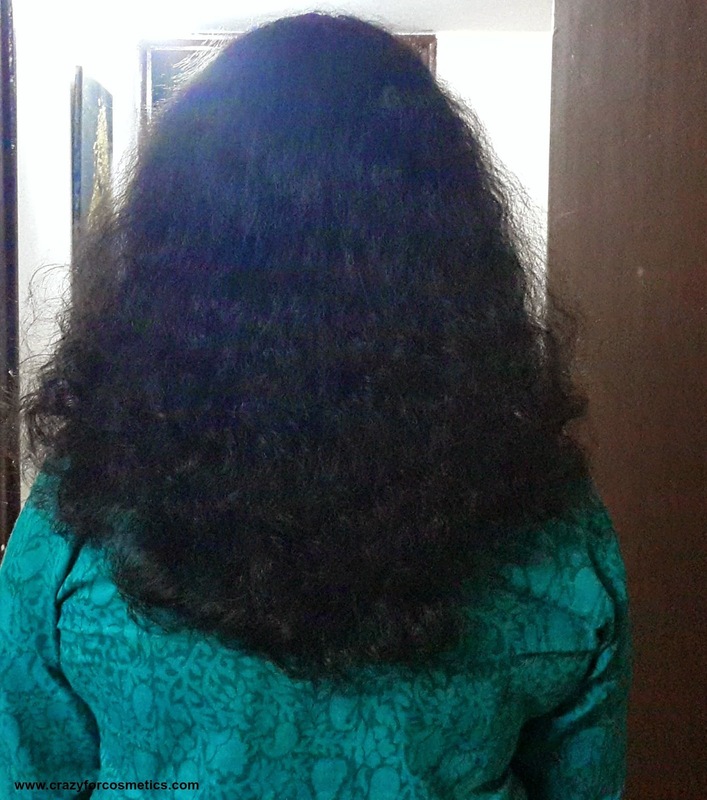 2 : My hair has not grown much in this month maybe due to the antibiotics I had taken for my cold & fever. Price : INR 400 including shipping. 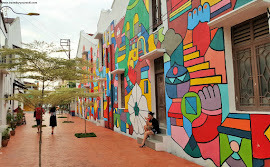 3 : Love the consistency. 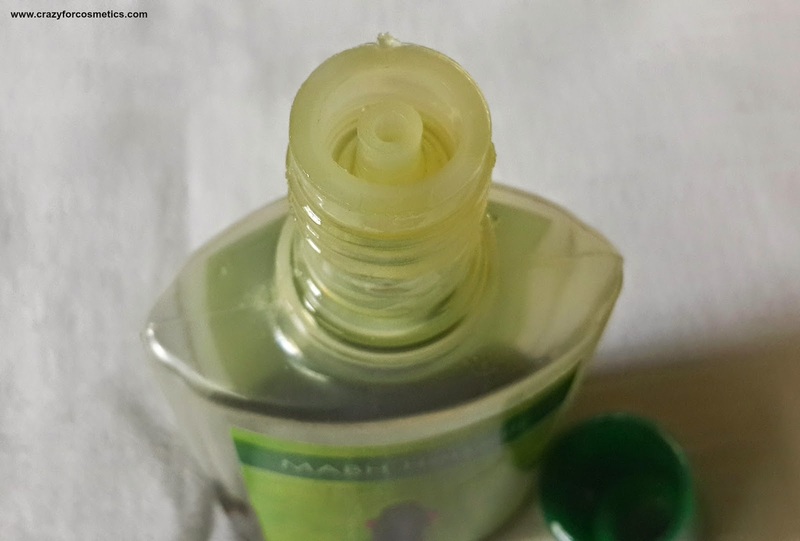 4 : Does not make the hair sticky even when I apply it before heading to office. 5 : Gets absorbed quickly. 6 : Adds shine to the hair immediately on application & makes it so manageable & tangle free. 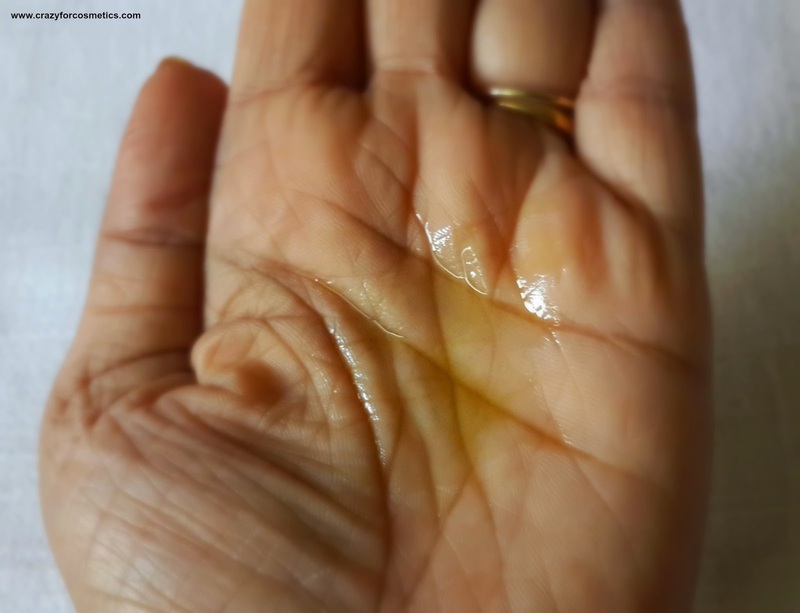 7 : It does not give me a headache - This is very important to me personally since I suffer from sinus & I cannot keep few oils for more than half an hour & I get this immense pain. 1 : The lid is not proper - the oil comes out very slowly through the opening & when squeezed it is unable to withstand the pressure & it gives way. 2 : It might be a bit expensive.. but anything for good lustrous hair right !!! You can place your order here. Read instructions on usage & purchasing online here & here respectively. 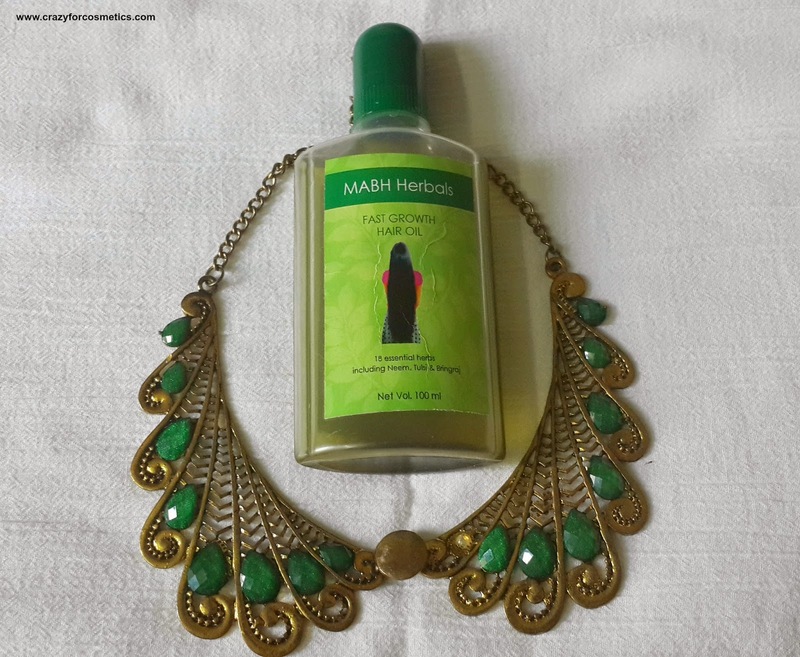 My hair would have been the toughest challenge for MABH oil & I will be placing my order again on MABH site & will use this regularly to obtain best results.I love the oil & will continue to use it for a long healthy hair & scalp. Note : This is a PR sample, but the review is my genuine experience.